Pictish Trail, here. Hi. At the start of this year, we organised an event in London called Strange Invitation - which featured performances from a bevvy of Lost Map acts across a lazy Sunday afternoon-into-evening. It was reallllly relaxed, there was a fair bit of nice boozing, and there was a weird bit where i started screaming down the microphone and encouraged everyone to take part in something called 'A Barty Party' (which may or may not have had anything to do with the booze consumption, but almost certainly had something to do with the attendance of two people in the crowd called Bart). ANYWAY. The good news is, after 10 months, we're ready to do another one. A Strange Invitation, that is - not 'A Barty Party' (although there's no guarantee that won't happen again either). The second Strange Invitiation is taking place at Paisley Arts Centre on Sunday 22nd October in the year of our Bart 2017. It's part of a series of acts taking place in Paisley throughout October, as part of their annual Spree Festival. We're really chuffed that they've asked Lost Map to be involved, and we've put together a suitably top bill for the occasion. Yup. We'll be there. All dressed in pink and glitter, and making the hall-cleaner's life a nightmare. I'm gonna be on tour with KT Tunstall in Germany ... but i've got a day off on the 22nd, so the plan is to fly from Cologne to Edinburgh, drive to Paisley, do a tremendous gig for you all, then drive back to Edinburgh, fly back to Cologne and take the train to Frankfurt in time for the KT gig on the 23rd. To be honest, i've just exhausted myself writing that down. You should come to the gig in Paisley just to witness my mental collapse. 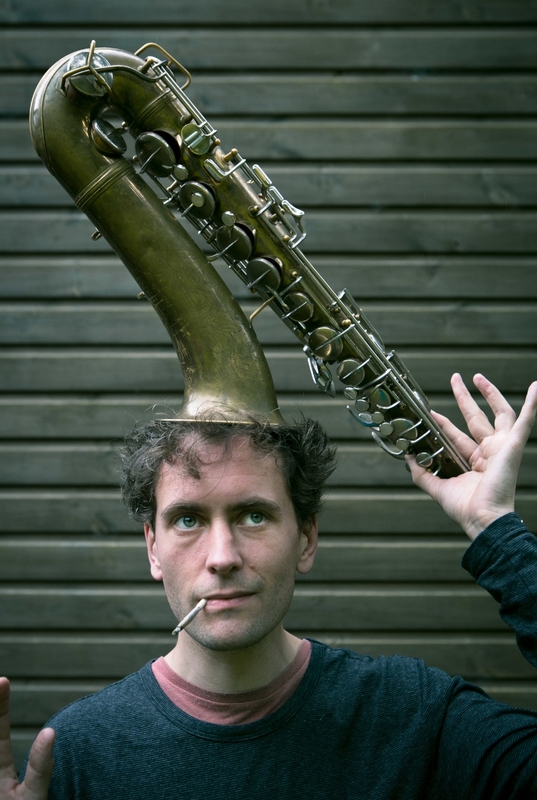 If you attended our Howlin' Fling on Eigg this year, you might have witnessed a performance by our good friend Angus Fairburn, aka Alabaster dePlume - whose stirring poetry and blissed-out jazz sent our fractured souls up into the heavens. (If the words poetry and jazz make you feel a bit sick, don't worry - during the show you will have the opportunity to softly spew down the bell of Alabaster's sax.) We're delighted to welcome him to the Lost Map family, and we'll be releasing his new album next year. He's gonna be on tour with Seamus Fogarty, in a few months, too - so this Paisley gig is a great opportunity to bum-up on his lyrics, so you can bellow them back to his face. He'd love that. Honestly, one of the most engaging, original performers i've ever seen - really looking forward to it. Another new face for Lost Map, is Londoner Serafina Steer. Sefa has long been a favourite of mine - a really mesmeric musician, whose off-kilter vocals and lyrics are as affecting as they are surreal. 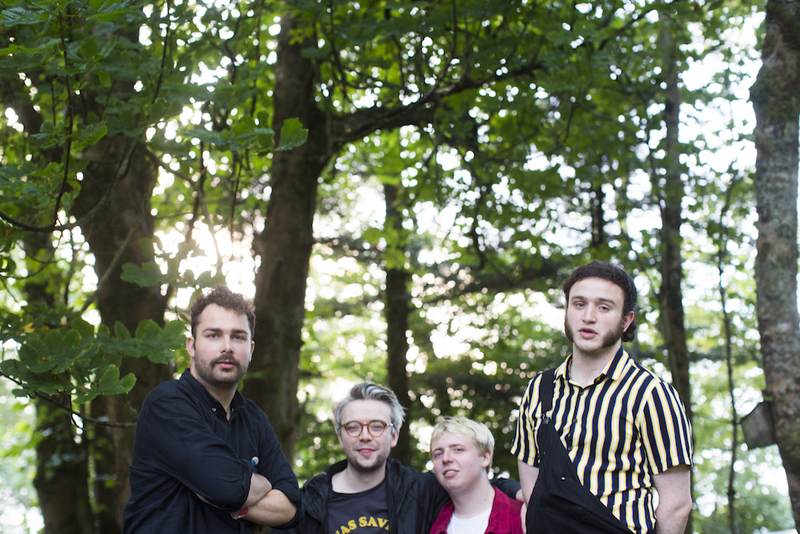 You might be familiar with her recent post-punk project, BAS JAN - who also joined us up on Eigg, this summer. We'll be working with BAS JAN in 2018, too. Was this year's Howlin' Fling some sort of weird initiation ceremony? Maybe. Maybe it was. For this Strange Invitation show Sefa will be performing solo - playing her harp, and weaving a cosmic spell over the audience. Glasgow's Savage Mansion is the work of a man often known as "Angus Jonson", accompanied by his good pals. We released a single earlier in the year - the knee-knobblingly slacker-rock sounds of 'Do You Say Hello To Your Neighbours?' - and there's much more to come. We were going to make our Strange Invitation event a more stripped-back / accoustic kind of affair, but sod that, this is going to be nice and loud. Don't bring a hangover with you. Also, i have no idea what "knee-knobblingly" means, but i liked the way it sounds, and i'm not changing it now. A man who needs no introduction, save for those who have never met him or have extremely bad memory, Ed Dowie will be making the trip from London to Paisley to perform electronic power ballads from his debut album, The Uncle Sold - an album I recently described as "music to make Gods jog to". Epic. There will be complementary tissues provided for which to wipe your tears of pride. With three albums of Kid Canaveral material under his beard, David MacGregor will be taking to the stage solo and acoustic and hopefully not foul-mouthed (it is a Sunday after all). Just looking at that line-up, i'm really excited about the show! We've tried to put together a wide range of different voices, and styles, to reflect the Lost Map label, and i think it's gonna be a really special day. Big love to The Spree Festival, and everyone at the Paisley Arts Centre, for letting us put this together - shows like this are really tricky and expensive to stitch together, so i'm dead chuffed we can make this happen. Definitely worth a round-trip from Cologne! Here's a playlist i've put together of some of the acts playing, so you can get excited tooooo.